One of those tasks that never ends is decluttering, and the longer days of spring seem to illuminate the dirt and clutter that have accumulated throughout the winter. 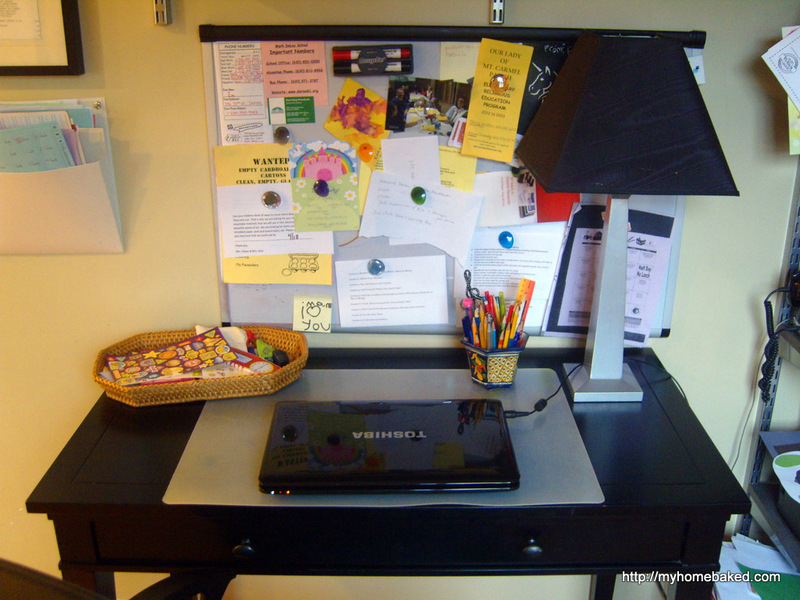 To motivate myself to tackle some of these problem areas, I’m linking up with Project Simplify 2013 at Simple Mom. Sure, I can see what areas in my home need work, but it’s awfully nice to have someone else map out a timetable and a plan of attack. This week’s project is about decluttering flat surfaces. Shelves, drawers, tables…you know the ones. In our house, the usual suspects are the family room coffee table, the hall table, the mail center cupboard, and my desk in the kitchen. At the moment, my desk is the problem. 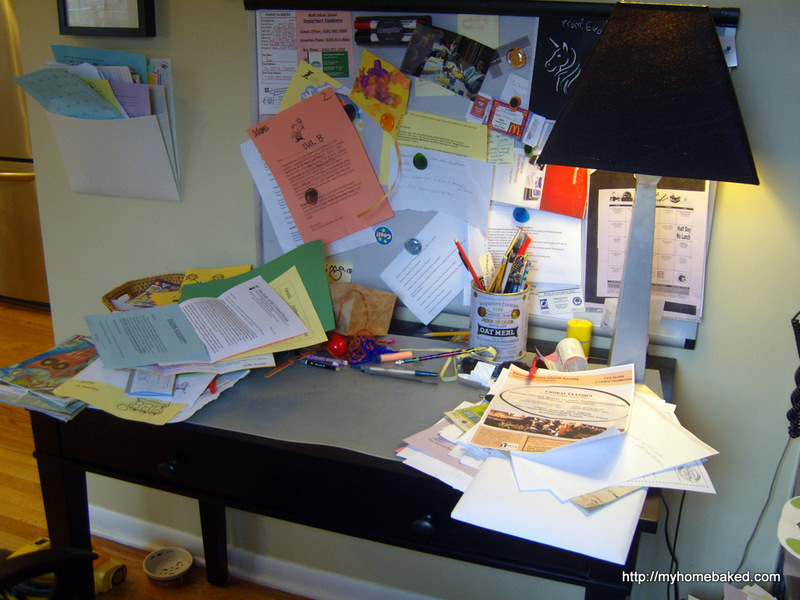 It regularly gets so stacked with stuff–much of which is NOT MINE, that I just lift up my computer and go elsewhere to work. This was mostly paper, so I sorted out everything that could be recycled, and then filed the rest appropriately. I put away all the bits of toys and hair accessories. I assessed the notes on the memo board and culled anything outdated. Then I dumped out the entire container of pencils and pens. Though I love the oatmeal tin, it’s just too tall to use as a pencil cup–things get lost in the bottom. I threw away all the dried up pens, sharpened all the pencils, and resurrected this cute flower pot that I bought in Spain to hold them all. After a good dusting, I can once again work at my desk! If you’d like to join Project Simplify, click on the graphic at the top of this post to get all the details. It’s a great way to get a handle on Spring Cleaning!